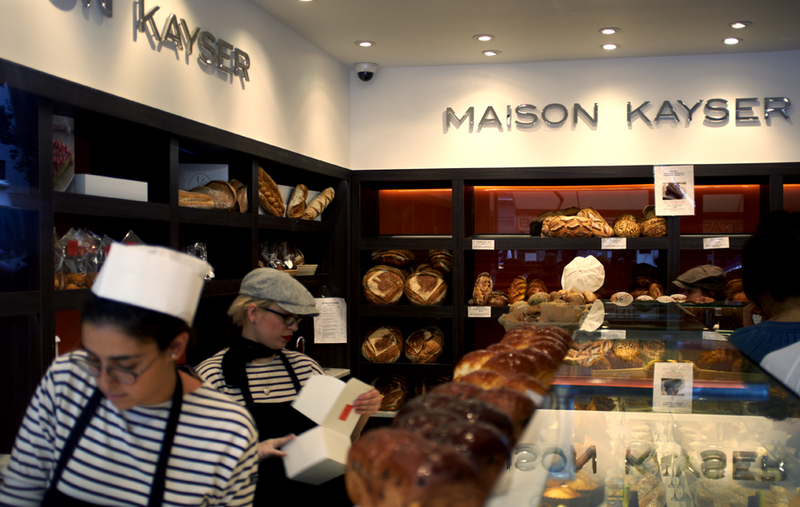 Everything is baked on the premises, there are classic pastries and exquisite tarts, and a fabulous variety of bread. 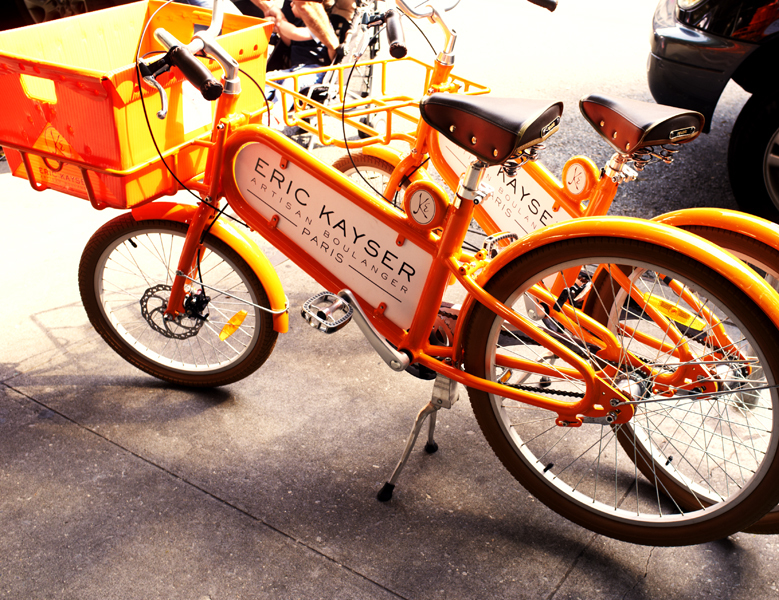 This is what Eric Kayser is most famous for, with his signature baguette translated into many colorful alternatives. 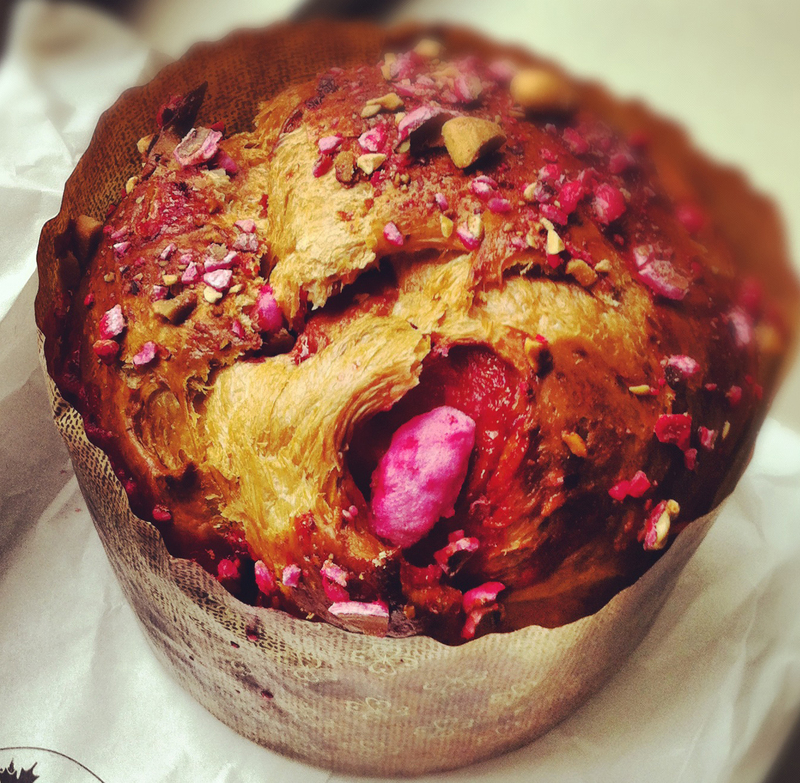 The pink praline brioche looked fanciful, but when offered the whole candied almonds to taste and told they were folded through the loaf, I just had to take one home. The brioche is gossamer light and with delicate ribbons of almond praline, it is delightfully different. Perfect lightly toasted the next day if by some miracle there is any left. 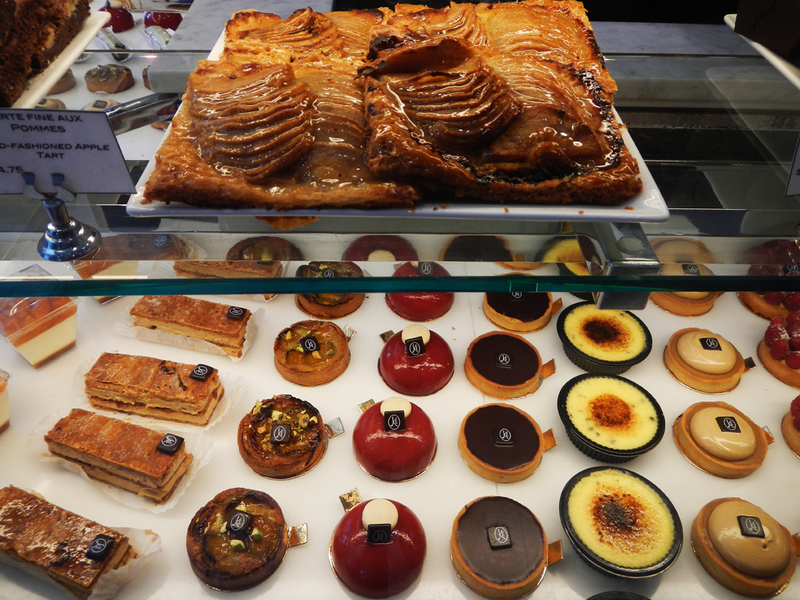 Next time I’ll try the pistachio eclair, or the fig bread, or perhaps the apple tart. Certainly I won’t be content to just eat cake…. 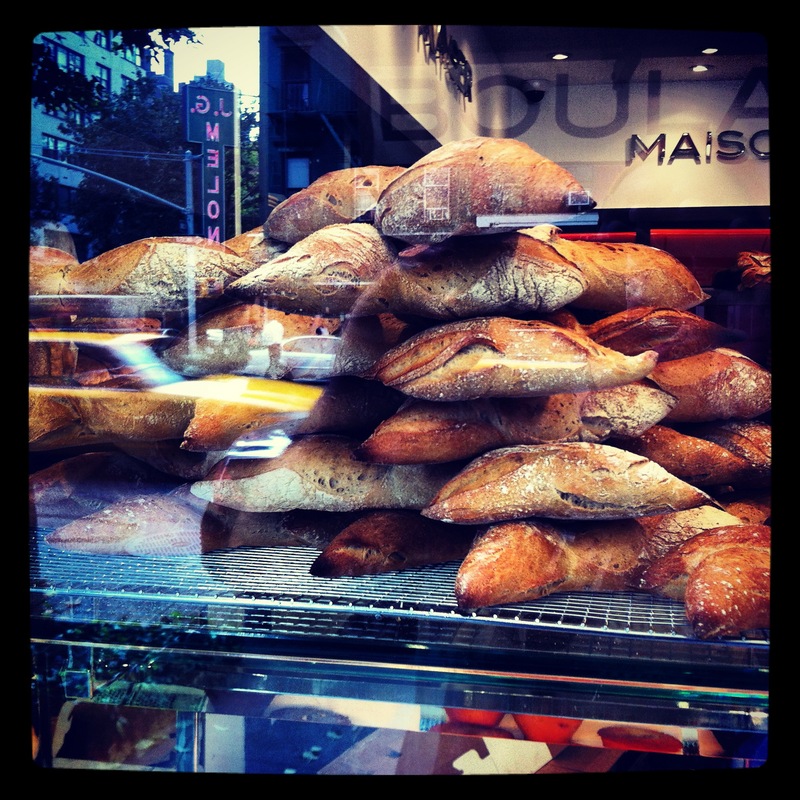 This entry was posted in bakeries, Food. Bookmark the permalink.